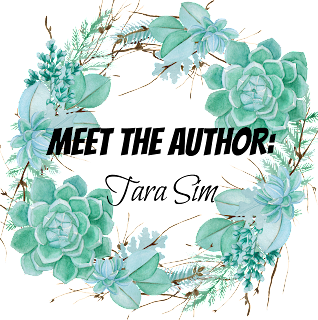 Welcome to the Fifth Day of Meet The Authors! I have with me today the WONDERFUL Tara Sim, whose debut novel, Timekeeper was one that I read and fell in love with last year. I got the opportunity to read it as a part of the Sunday Street Team tour hosted by Nori from Read Love Write and I fell in love. Don't forget to say hi to Tara below! Also, Welcome to A Thousand Words A Million Books, Tara! It's SUCH a pleasure to have you here. I'm quite boring and already love where I live in the Bay Area, California. However, if I could have a second home, I'd choose somewhere in the UK or Ireland. 2. What would you sing if you ever went to karaoke night? Probably something by Florence and the Machine. Flo and I have similar-ish voices. 3. What is the best gift you've ever been given? I've been given a lot of really cool material gifts, but I'm going to say my education. I was very lucky in that my parents sent me to college, and those four years were some of the best of my life. 4. What inspired you to write Timekeeper? I was really into Big Ben when I studied abroad in London; something about the clock fascinated me. Later on I wondered what would happen if clock towers like Big Ben could literally control time, and who would be there to fix the towers if they ever broke. The idea expanded from there. I can't say too much yet, but India is a major setting in book 2, and we get to meet a few new important characters as well as spend more time with those introduced in book 1. Oh, and there are airships. 6. If Timekeeper was turned into a movie, who would you cast in it? I've always kind of used Logan Lerman as a model for Colton, but he's not British, so let's say Tom Holland. I'm not sure about Danny, but he'd need someone a little broodier to play him, haha. Blurb Description: In an alternate Victorian world controlled by clock towers, a damaged clock can fracture time—and a destroyed one can stop it completely. Say Hi To Tara! 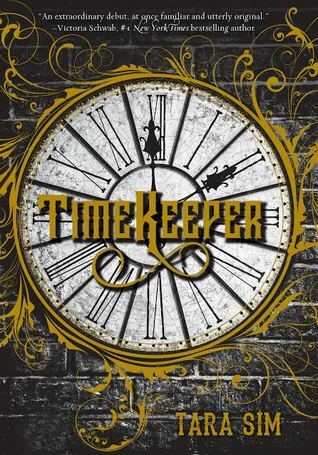 Have you read Timekeeper? What are your opinions on a society where clocks can literally control Time, not just tell it?